ABOUT THE BOOK (237 pages): You, my friend, are a unique and wonder-filled creation. You are valuable beyond your ability to comprehend treasure. In the entire universe, for all eternity, there is, and will always be, only one you. You were designed for, and placed on, planet earth to complete a mission that only you can complete. Yes, it’s true—you are a unique and wonder-filled creation. Here’s the downside—you don’t believe it. Do you know why? It has to do with your heritage as a human being—you’re broken. You are not to blame. It is not your fault. Ever wonder why you don’t understand your true worth? Ever wonder where your beliefs about you came from? Ever wonder why you are the way you are? Ever wonder where the Motives that inspire you originated? Or, why certain Affections rule your heart—why your Desires are sometimes darker than you would care to admit—why you experience negative Feelings that regularly bring unwanted grief—why your Actions can, at times, be a source of confusion and loss—and, why you are haunted by negative and persistent Thoughts you wish would just go away? These are the primary questions God’s system for success addresses in this book. God will rewire and restore your Motives, Affections, Desires, Feelings, Actions and Thoughts (MADFATs). You will be transformed by the renewing of your mind as you follow the Biblically based and simple system outlined within. You will possess a clearer vision of your purpose and realize your soul’s restoration. Your heaven-guided, spiritual vision will clear and you will fully discern, grasp and assume the fullness of your unquestioned and royal place in the kingdom of light. “An expert is a person who has made all the mistakes that can be made in a very narrow field.” — Nikki Giovanni That certainly describes James Bars as he came to the end of self-sufficiency. When life became meaningless and desperation consumed him, James began a search for hope, purpose, meaning and wholeness. 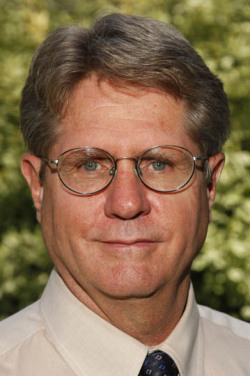 It is not by any virtue that James Bars has discovered how to help others. Rather his failures are the bedrock upon which God began to reach him and move him to share the hard lessons learned. You are on planet earth. You know many of the same struggles. But do you know the Way up? Do you have a system for success? This book hits at the heart (or mind) of a lot of our issues in life. And this was a great book for me to read on the heals of Joyce Meyer’s Mind Connection. It’s like a deeper look into the tricks your mind can play on you. People who enjoy a more scientific approach to things will like this book especially because the author talked about the brain and the way it functions. I am not a scientific type of person so I did have trouble focusing at times because that’s just not how I learn but that’s okay. There are a lot of good things in this book. Early on, on page 15, the author writes, “Homeostasis is your system’s tendency and ability to maintain internal stability. Anxiety, worry, fear, resentment and anger, as well as negative motives, affections, desires, feelings, actions and thoughts of any type, contribute to a lack of homeostasis and thus add to your level of stress.” I found that to be extremely interesting. Later, on the same page, James writes, “Fear cannot be satisfied. Satan knows this and strives to keep you fear-based and stressed, so he can steal, kill and destroy your life.” Good stuff right there. The end of the book has worksheets so you can work on rewiring your thought process. 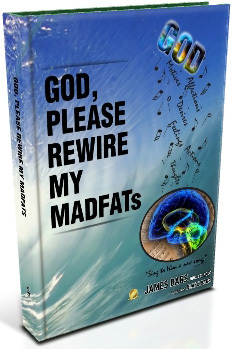 If your MADFATS need rewiring (and whose don’t) this might be the book for you. Grab your copy at your local bookstore, Amazon, Barnes and Noble, Books-A-Million, Deeper Shopping or your favorite retailer. No one needs to push Nikki Boyd to excel on the Tennessee Missing Persons Task Force. The case of her own missing sister, still unsolved after ten years, is the driving force in her work. When a Polaroid photo of a missing girl shows up at a crime scene, Nikki quickly recognizes similarities to the past. The closer she gets to the abductor, the more she feels this case has become personal, and she is not the hunter . . . but the hunted. With this explosive first book in The Nikki Boyd Files, award-winning author Lisa Harris takes you on a fast-paced pursuit of justice that will have you holding your breath until the heart-stopping finish. 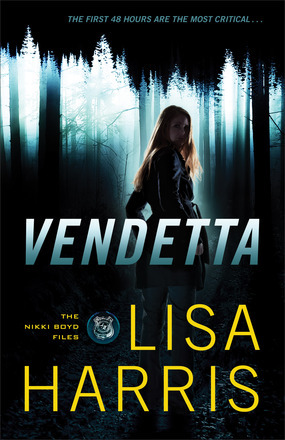 I really enjoyed Lisa’s previous series so I was very excited to read this new one. I will say the first couple of chapters didn’t really grab me but then…I was hooked and I didn’t want to put the book down. Chapter after chapter of new twists, turns and dangers. The stakes constantly being raised. And the personal connection Nikki has with the case she is working on will have you sitting at the edge of your seat and up way past your bedtime. Lisa is a wonderful storyteller and this newest book will not disappoint. As an investigative reporter and the host of her own TV talk show, Faith Marin works to expose the truth for her viewers. But in her personal life, she’s anchored her world with firm boundaries in order to hide a family history she’d like to forget. By contrast, her husband Geary’s life is an open book. An easygoing pro bass fisherman, Geary is the ultimate family man–and his overbearing relatives don’t know the meaning of boundaries. Faith and Geary haven’t been married long when their differences start to derail their tender relationship. Surely love shouldn’t be this hard. While Faith considers whether divorce is the only answer to their issues, tragedy strikes. 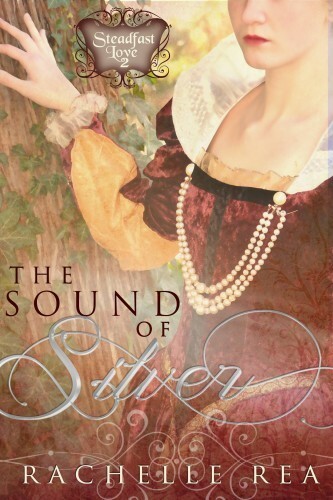 With her life in the balance, she finds that the one she has been shutting out may be the very one she cannot bear to lose. 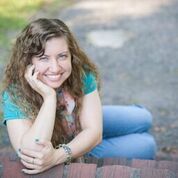 Kellie Coates Gilbert takes you on an emotional roller coaster as she weaves together unexpected trial, self-discovery, and forgiveness in this profoundly honest portrait of the tensions that can break a marriage–and the ultimate healing power of love. 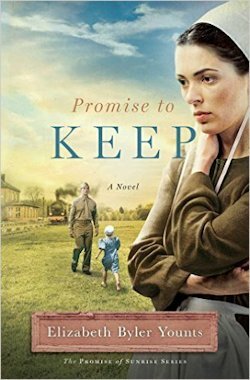 I loved Kellie’s first two books and couldn’t wait to read this one. 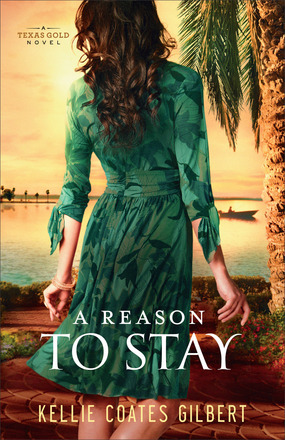 A Reason to Stay was another great book by Kellie. She developed characters and a storyline that will capture your heart and mind. Faith is a tough cookie. She is very driven by her work and right away I could see the problems that would arise in her relationship to Geary if things didn’t change with her. Kellie did a great job hiding and revealing Faith’s past. Even though Faith is tough she is still very likeable because you know she is hurt in someway and covering up for that and working way to hard to prove something. If you haven’t read anything by Kellie yet this is a great one. A copy of this book was given to my by the publisher in exchange for an honest review. 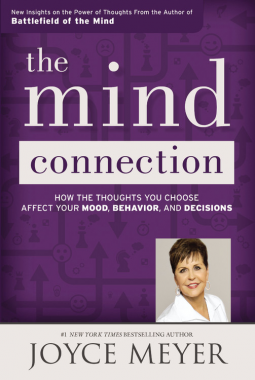 Joyce Meyer, #1 New York Times bestselling author, explores the power of positive thinking and the undeniable connection between the mind, mouth, moods, and attitudes. It’s good to be back with Mama Joyce. I so enjoy all of her books about the mind. She really is the go-to person when it comes to learning to change the way you think. If you have read her other two books, Battlefield of the Mind, and Power Thoughts, you will love this one. It is a refresher on those two books but also will take you a bit deeper. For me I have read both of those books but I am not likely to read a book twice but I will read something new so The Mind Connection was great. It reminded me of all the stuff I already knew but easily forget under the craziness of life. An e-copy of this book was given to me by the publisher through Netgalley.com in exchange for an honest reivew. I have always enjoyed Elizabeth’s books. She has consistently delivers an interesting story line with likable characters. Although, I will say at first I wasn’t a fan of Joe. There is a lot going on in this story with Esther’s family and some secrets there, as well. Daisy is a sweet little girl who will capture your heart and you will wish you could hold her and give her some love. You will easily be drawn into the town of Sunrise and the characters lives in this engaging book.